What Day Of The Week Was March 12, 1965? 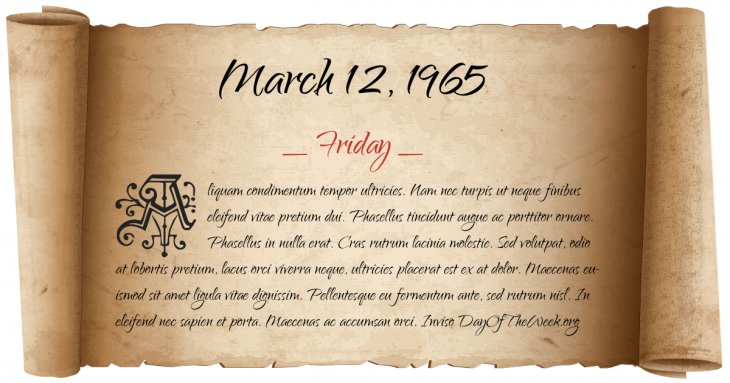 March 12, 1965 was the 71st day of the year 1965 in the Gregorian calendar. There were 294 days remaining until the end of the year. The day of the week was Friday. Who were born on March 12, 1965?